Earphones. The most important travel gadget of all is also one of the most annoying. Where do you keep yours when strolling through an airport or boarding a plane? Wraps has the answer, coiling itself around your wrist for safe-keeping. The concept of wearables are en vogue at the moment, though it’s largely a meaningless marketing term. While smart watches and Google Glass might have a place in some travellers’ gear lists, earphones are surely the original wearable. The design revolution on Wraps is a patented slider system that keeps the heads and the audio jack together when the product is wrapped around the wrist, and it all works well. 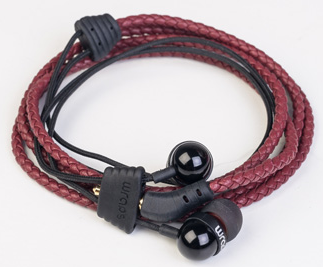 The earphones are affordable, lightweight and come in a range of colours. However, sound quality isn’t what wraps are about. Their 10mm drivers offer sound that is absolutely fine for walking down the street, sitting in a cafe or strolling around an airport waiting to board a plane. However, get on the plane and they’re next to useless. Even in a train or bus the hum of the engines is too much. So while the Wraps are a great design breakthrough, it’s only when that concept meets true quality audio that we’ll have the ultimate travel-grade earphones – the only wearable worth the name.